The Construction Amendment Regulations 2010, which were signed into law on November 2nd, specify the information project supervisors construction stage must furnish to the HSA before construction work, which is planned to last for longer than 30 days or where the volume of work is scheduled to exceed 500 person days, begins. PSCS must give the HSA the names and addresses of the client, PSDP and H&S coordinator (if appointed). The PSCS must also give details of the work. 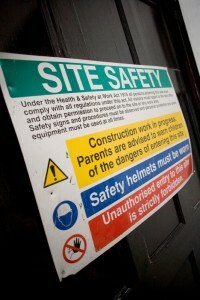 The new regulations insert the definition of a confined space into the Construction Regulations. The definition is the same as the definition in the Confined Spaces Regulations (SI 218/2001). An additional regulation, which provides that a worker shall not in any circumstances be exposed to a high-risk confined space unless observed from outside at all times and all appropriate precautions have been taken to provide immediate and effective assistance, has been added to regulation 79. As with regulation 22, the changes to other regulations are effected by repealing the entire regulation and re-enacting it either with words added-on or taken out. Regulation 51: Safety Precautions. The reference to not more than 1.25 metres in sub-section 2 is taken out. Regulation 79: Health Hazards. The words “as far as reasonably practicable” replace the words “wherever possible” in sub-section 2(a). Two new subsections are added.